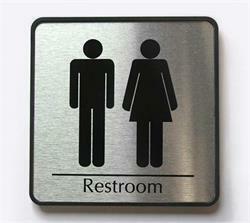 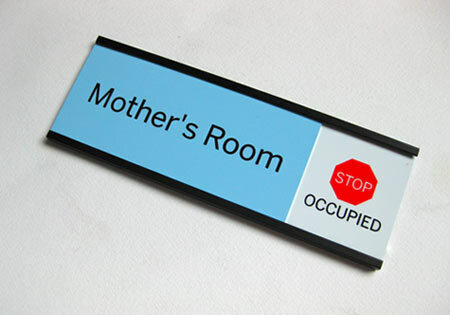 Display the availability of any office, conference room or employee with our 6" slider sign (2" high). 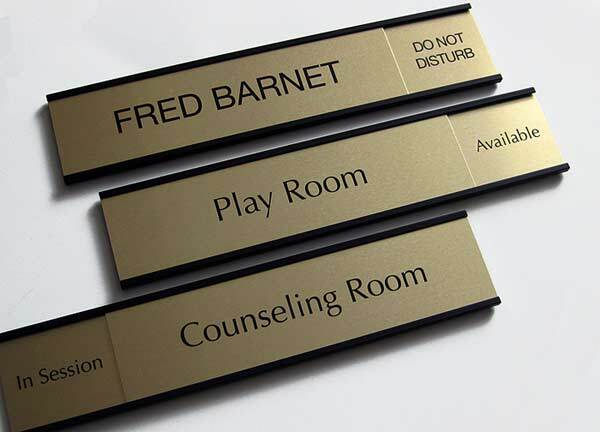 Rich metal frame with customizable top name plate and bottom name plates at no extra charge. 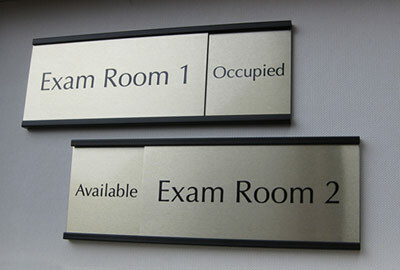 These slider signs feature an open frame design with your very own personalized text. 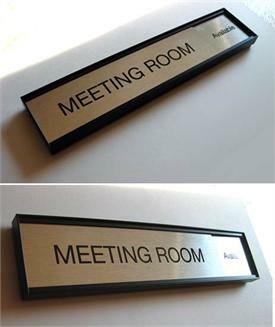 Suitable for board rooms, cubicles and office doors and demanding professionals seeking a crisp, clean name plate sign. 10" wide sliding office door sign. 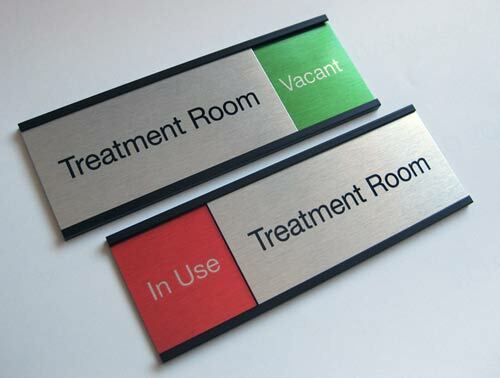 Great for employee & room availability display. 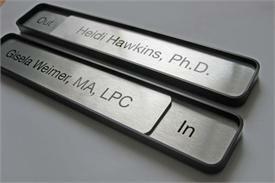 Customize front plate or slider areas. 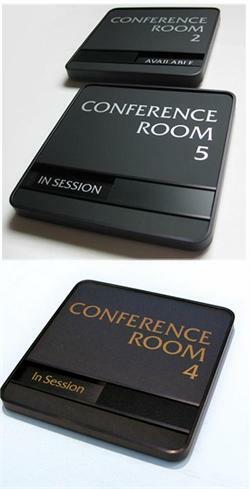 Top plate slides left and right to display customizable message on each side. Used by US Government, doctors and professionals.